Rabbits and guinea pigs are designed to eat leaves and stems. 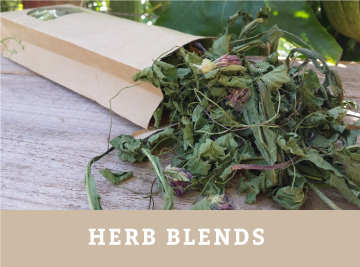 So creating fabulous, life-enriching formulas that promote the consumption of leaves and stems is our mission. 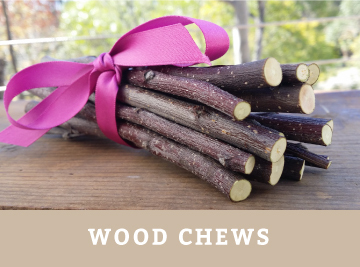 We offer a range of Australian grown wood chews, herb blends and hay sprinkles to make life a bit more fun, flavourful and healthy. 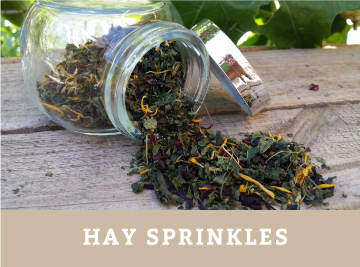 We are very picky when it comes to our high quality, Australian grown, often certified organic ingredients. This means many of our products are available seasonally or only until limited stocks from our property and trusted sources are exhausted. We invite you to enjoy exploring the changing varieties on offer as the year progresses. Our products are available from a select group vet clinics and quality pet shops around Australia or directly from us via our San On-Line Portal. Due to postage expenses, it will most often be cheaper to find a local retailer if there is one close to you.